Nebula-Award-winner Elizabeth Moon returns to science fiction with a thrilling new space opera adventure, COLD WELCOME (UK|ANZ), and we’re delighted to reveal the stunning cover below. Admiral Ky Vatta should return to her childhood home a war hero, but on the way her shuttle is downed by sabotage. 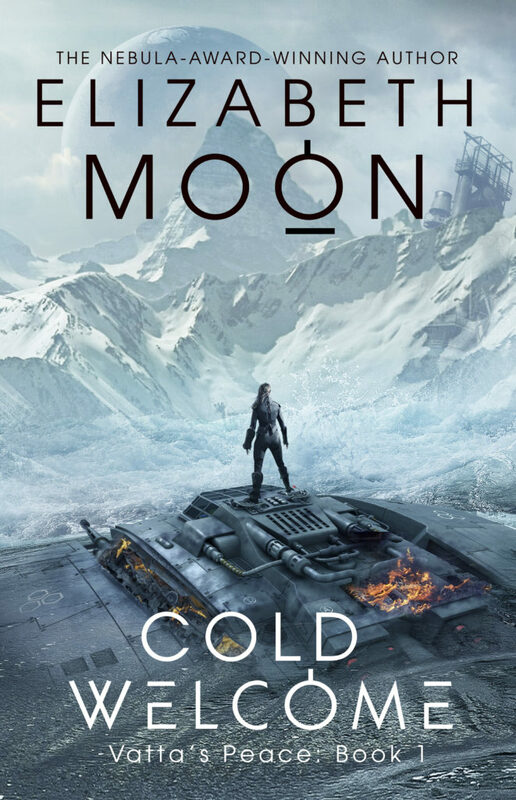 Marooned in a hostile landscape it’ll take every bit of wit, skill and luck she can muster to lead her fellow survivors to safety, knowing that the mysterious enemies who destroyed the ship are on the hunt, and may have an agent in the group ready to finish the job at any moment. And was the sabotage an attempt on Ky’s own life, or someone else’s? COLD WELCOME will be hitting shops in April and is available for pre-order now. SPEED OF DARK is a profound, powerful near-future novel by Elizabeth Moon, which tells the story of a young man with autism who is offered a possible ‘cure’ for his condition. 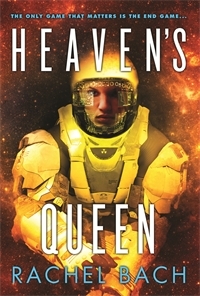 The book’s fans include Jo Walton, Greg Bear and the late, great Anne McCaffrey. 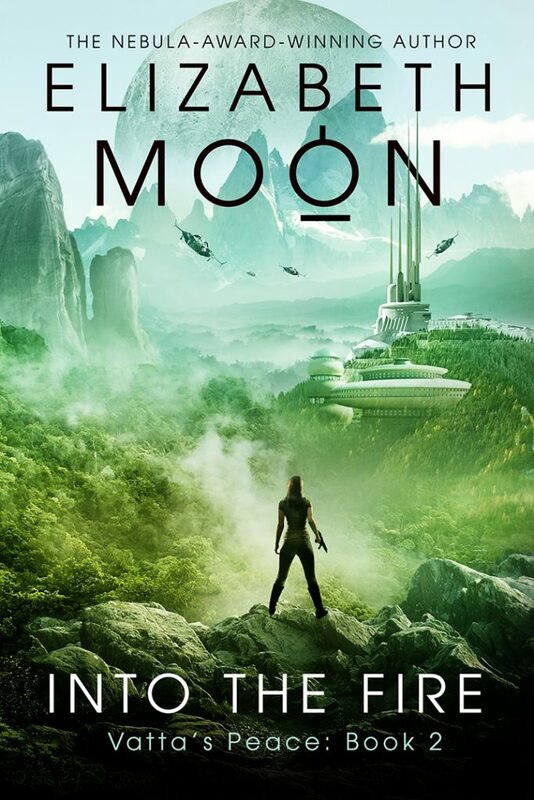 It was the winner of the Nebula Award, was shortlisted for a Clarke and can truly be said to have achieved classic status since it was first published over a decade ago. This is why we’re delighted to announce that SPEED OF DARK (UK|ANZ) has been chosen as the next Hodderscape Review Project pick. We can’t wait to find out what Hodderscape’s team of reviewers think of this novel, ten years on and ten years closer to the future which it described . . .
A previous Orbit title on the Hodderscape Review Project was Ursula Le Guin’s THE LEFT HAND OF DARKNESS (UK|ANZ): read the reviews here. This weekend our very own Elizabeth Moon will be appearing on the BBC World Service to take part in a discussion about Future Wars. 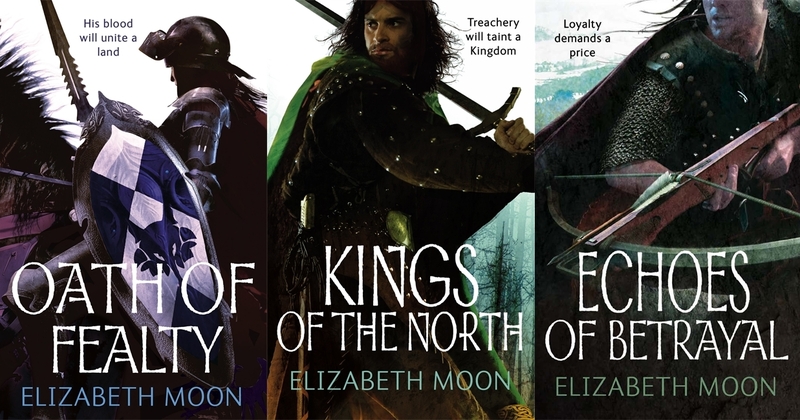 Elizabeth is a much-loved author of fantasy and science fiction, and during the writing of classic SF series such as The Serrano Legacy and Vatta’s War she’s done a lot of thinking about the way that future wars might be fought. She’s also seen active service in the United States Marine Corps, attaining the rank of First lieutenant. The Forum will be broadcast at these times: Sat 19 May 2012 23:05 BST, Sun 20 May 2012 02:05 BST and Sun 20 May 2012 12:05 BST. It will also be available as a podcast, on the BBC World Service website. The Forum goes out on the BBC World Service which reaches 166 million listeners worldwide each week. It is broadcast on the weekend for forty minutes and the discussions are generally chaired by Bridget Kendall, the BBC’s Diplomatic Correspondent. More information is available at bbcworldservice.com/forum. I spend at least a year – for multi-volume works several years – inside the heads of the POV characters. Their thoughts, their feelings, their wishes, dreams, fears, and worst moments are part of my daily thought stream. It’s like having a stranger move into the house or apartment, sharing every detail of his/her life, dirty underwear and all. Yes, of course I know characters are fiction – I made them up – but I have to feel them as if they were real in order to write them. And that means I’m vulnerable to their moods, their thoughts. So I don’t want to spend a year inside the head of someone I wouldn’t want to be around in real life. Most people wouldn’t want to be around them, either: the bitter, resentful, envious whiner and the arrogant, narcissistic, backbiting, backstabbing, climber just don’t have that many friends. It doesn’t matter if they’re nice to their cat, raise fancy koi, or paint exquisite miniatures on porcelain: if they’re generally rotten, I don’t want to them in my head, poisoning my days with their constant negativity. Writing one self-deluded whiny character’s train wreck from the inside (Luap in SURRENDER NONE and LIAR’S OATH) was enough. 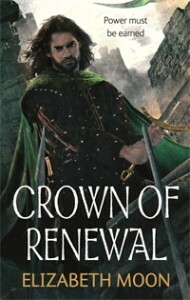 Elizabeth released ECHOES OF BETRAYAL, the third epic fantasy novel in her Paladin's Legacy series, just last week. Of course I still do write bad characters, but I write them from outside (or mostly outside) where I can show their effect on others and offer some glimpse of how they got to be bad, if that’s important to the story. 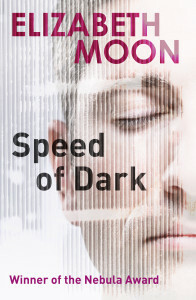 Sometimes it’s not: a story with a single strong protagonist – especially one with an unusual viewpoint, like Lou in THE SPEED OF DARK – would lose its intensity if the reader’s attention were diverted to his employer’s viewpoint. Bad characters vary in their own motivations. Good characters aren’t perfect – they would be boring if they were – and their flaws, their mistakes, their internal conflicts with their own competing motivations make them interesting companions for the time I spend writing them (in a several-volume story, it’s several years). In fact, my “good” characters are so flawed that I’ve had some people question how I can possibly consider them good. None of them qualify for the Perfect Person of the Year award by conventional standards of Perfect. After all, Paksenarrion (THE DEED OF PAKSENARRION) disobeyed her father, ran away from home to become a mercenary soldier, has a hot temper, and killed people for a living. Gird (SURRENDER NONE, LIAR’S OATH) not only led a violent peasant revolt resulting in thousands of deaths, he drank too much and had a ferocious temper. Heris Serrano, in the Serrano/Suiza books, disobeys an order (albeit a vicious order), makes bad decisions, quarrels with her family, and is contemptuous of rich civilians – like her employer. Ofelia, in REMNANT POPULATION, evades an evacuation order, deliberately staying behind so that she can be alone (she thinks) on the planet, free to indulge herself for the rest of her life, using whatever was left behind as if it belonged to her (misappropriation of property, if not worse). Ky Vatta, in the VATTA’S WAR series, gets a thrill out of killing – she’s shocked at herself, but she can’t change the reaction. Her batty Aunt Grace, a harmless-looking old lady who bakes fruitcakes, breaks the law on a regular basis and brings down a government. So . . . why do I insist they’re good? Because good isn’t simple. And these characters do more than whine, rage, complain and posture about themselves. They intend to be constructive and not destructive, even when they’re starting quarrels that have dire consequences (Esmay Suiza) and trusting the wrong person (Ky Vatta). If Paksenarrion had been conventionally good, she would never have saved the lives she’s saved (and she’d have made a very bad pig-farmer’s wife). All the “good” characters are bad sometimes – all have had enough trouble to last a lifetime – but they are capable of growth and change, and how they change – exactly what decisions they make under the pressure of past experience and current events – is what interests me.